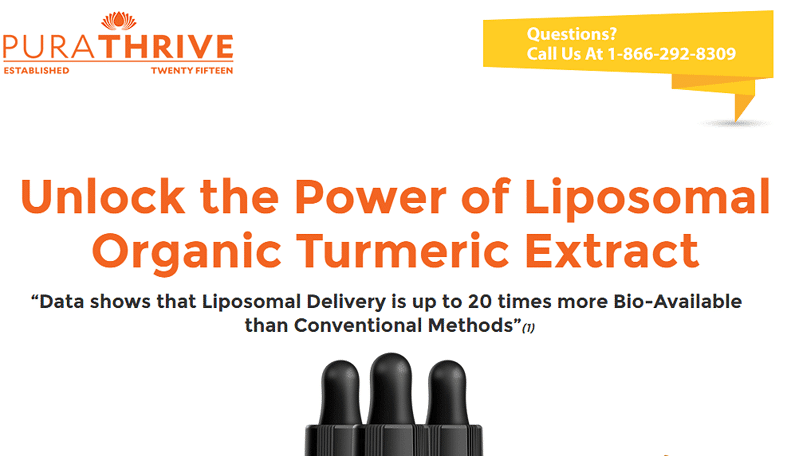 PuraThrive Liposomal Turmeric Extract Review: Impressive Product! 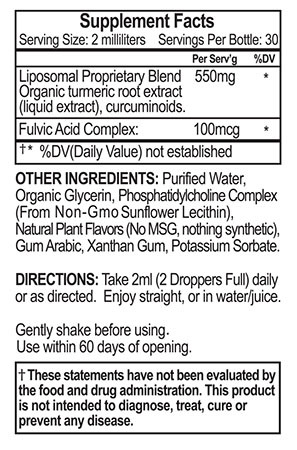 You are here: Home / Blog / PuraThrive Liposomal Turmeric Extract Review: Impressive Product! I’m excited to bring your attention to a new nutritional supplement called PuraThrive Liposomal Turmeric Extract. It is NOT a scam, and in this review you’ll find out all about this product and its benefits. Created in 2015, PuraThrive Liposomal Turmeric (once known as NutriThrive) claims to be the product that can deliver turmeric, a well known superfood, to your body cells. But before we go any further, let’s find out who the manufacturers are, shall we? According to the About page of PuraThrive is a new partnership company established in 2015 by ‘3 health enthusiasts committed to formulating the products that we wanted, and sharing them with others.’ It is based in Santa Fe, New Mexico. The address of PuraThrive is 903 W. Alameda St. #427 Santa Fe, NM, 87501. The map of this address is conspicuously displayed in the company’s Contact Us page. Bottom Line: This company is new and there is not much information about it online. Ordinarily, this should raise a red flag, but there are compelling reasons why the green flag is still up. Read on to find out! Turmeric is a popular spice derived from the root of the turmeric plant. Curcumin, one of its major components, is the substance that gives curry powder its characteristic orange color. Turmeric has been used for thousands of years in India and other parts of Asia as medicine. Modern scientific studies have shown that turmeric is especially effective in controlling blood cholesterol, osteoarthritis and itching. There is also some evidence that it is also effective in combating a host of other diseases (Crohn’s disease, colorectal cancer, diabetes, depression, prostrate cancer, etc.) [WebMD]. Unfortunately, turmeric is not absorbed by the body because it gets broken down by the digestive juices into non-toxic chemical compounds that are useless to the body. This essentially means that taking raw turmeric has little or no health benefit to the human body because it gets destroyed before the body has the chance to use it. PuraThrive Liposomal Turmeric Extract claims to have the solution to this problem. Several scientific studies have actually proven that liposomal delivery of turmeric is very effective. For example, this study demonstrated its efficacy in reducing pancreatic cancer. PuraThrive Liposomal Turmeric Extract is suitable for everyone at any age. Judging from the many positive testimonials available online, it works best for people with joint/back pain and inflammation issues. However, you don’t need to be suffering from some ailment to use it. You can simply use it as a nutrition supplement. The active ingredients of PuraThrive Liposomal Turmeric Extract include full-spectrum turmeric (not just curcumin) and fulvic acid. 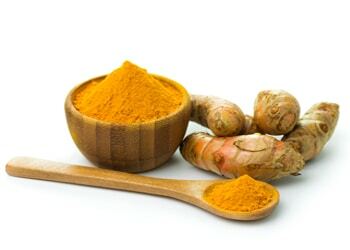 The manufacturer maintains that isolated curcumin, the form of turmeric widely used in supplements, cannot be absorbed by the body. ‘For turmeric to work properly, it needs the FULL range of compounds that make up the element,’ PuraThrive says. 1 serving of PuraThrive Liposomal Turmeric Extract contains 550 mg of organic turmeric root extract and 100 micrograms (mcg) of fulvic acid. The product is made in an FDA-compliant facility. Real Testimonials. I can confirm that the testimonials about PuraThrive Liposomal Turmeric Extract are from real people. The testimonial photos are not fake or stolen. PuraThrive got some of the testimonials by handing out bottles of their product to select people at discounted prices for them to use and give their honest opinion. A Lot of Positive Testimonials. As at the time of writing this review, PuraThrive Liposomal Turmeric Extract has an overall 4-star rating at Amazon. 61% of the customers gave it a 5-star rating, while 6% rated it one star. Transparent Pricing: From the pricing presentation, you can see that PuraThrive did not hide their autoship program in rarely visited pages (e.g Terms and Conditions), but laid it out clearly for all to see. It is also optional, unlike scammers who trap you with it once you buy one bottle. For me this is a big plus, as it shows how transparent and trustworthy they are. 1. Little Information about Company. Here at Contra Health Scam, I strongly emphasize knowing the identity of the person/company selling you any health product. This is very important because we are literally dealing with human lives and we need to be sure that the people offering health services have the necessary qualifications to do so and are accountable. In this case, there is little info about PuraThrive available. It is also a new company, which both complicates the issue and explains the sparse info. But then scammers are known for providing sparse info about themselves so that they can’t be traced. I advise that PuraThrive provides more verifiable info about itself online in order to boost customer confidence and further distinguish them from the common scammers. Final Conclusion: YES, BUY PuraThrive Liposomal Turmeric Extract! As always, if you have used the product or have any contribution to make, feel free to use the comments section. If this review has helped you, please share it with the relevant people you know. Thank you! Please note that I added affiliate links to this article because it is a positive review. This means that I earn a small commission if you decide to buy this product by clicking the links on this article. This way I can earn a living and continue to maintain this blog as a source of honest, unbiased information. Please read my disclaimer for more information. you didnt even try it, did you? No, I didn’t. And I don’t need to try the product first before knowing whether it works or not. This is a health site for crying out loud … and I’m a professional, not a patient. If you are looking for evidence that it works, go to Amazon and check the reviews of the product for yourself. Those reviews are from real people who used the product. I’ve already made that easier for you by mentioning it in this review. If you’re still not convinced, there are other turmeric supplements out there. Go ahead and try any of them and see what works for you.